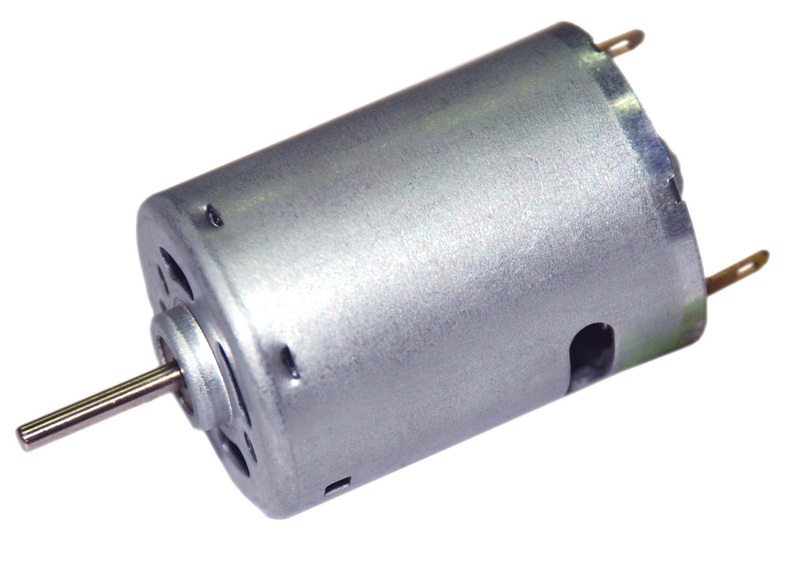 After having discussed LiPo batteries and ESCs, today I would like to talk a bit about what powers up our electric planes and helis: the motor. Basically, in the rc hobby we have two main categories of motors: brushed and brushless. I will now focus on the brushed motors, because even if I will keep it short there is a lot to say! 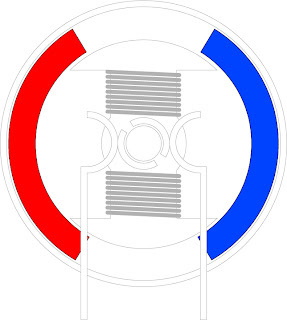 The stator - Creates a stationary magnetic field surrounding the rotor. This is generally created by permanent magnets. 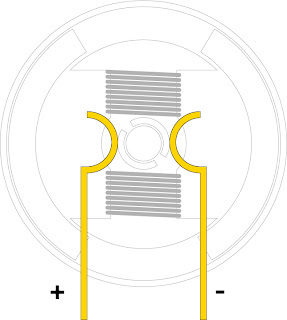 The stator magnets, fixed to the case of a typical brushed motor. They create two opposed magnetic fields. The rotor - Made of non magnetic materials, it is shaped as two or more hammerheads and it has copper wire coils wrapped around each end. These are called windings. 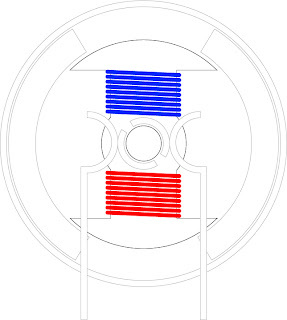 When the windings are energised they create a magnetic field, and they are attracted towards the opposite stator magnet, causing the rotation. 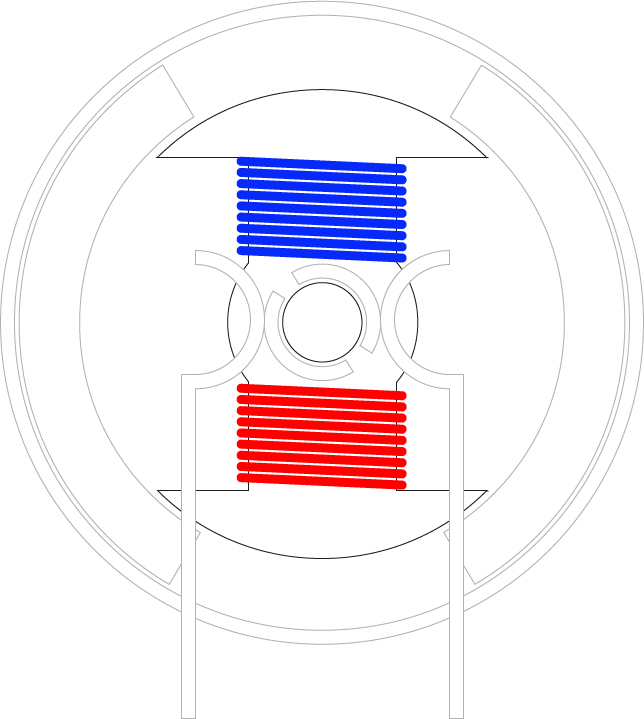 The magnetic polarity of the windings keeps switching in order to maintain the rotation of the axle. This is called commutation and it is obtained with...yep, you guessed it, a commutator. The rotor of a brushed motor, with the copper windings on each side of the axle. The commutator - Brushed motors do not require external commutators to switch the magnetic polarity of the windings, because it is all done inside the motor case. The commutator is placed on the rotor, and consists of a series of conductive plates connected to the windings. When the rotor turns the commutator plates touch alternatively the brushes, switching the polarity at each turn. 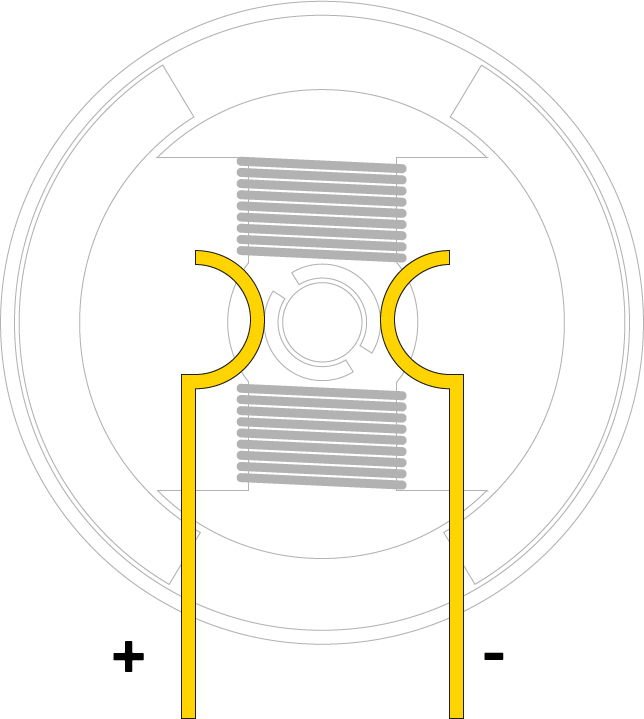 The commutator of a brushed motor. There is a plate for each winding. The brushes - These are the carbon parts which bring the power to the motor. They are pressed against each side of the axle, coming in contact with the commutator plates. When the voltage is applied a dynamic magnetic field is created and the motor rotates. The brushes of a brushed electric motor. They transfer the power to the commutator. The rotation of a brushed motor. 4) The rotation continues because now the stator is attracting the opposite winding. The process continues.. It is now easy to understand that the brushes and the commutator are the parts that are most prone to wear which, together with the friction generated by those two components, make the brushed motor a "not so ideal" choice when it comes to RC applications.